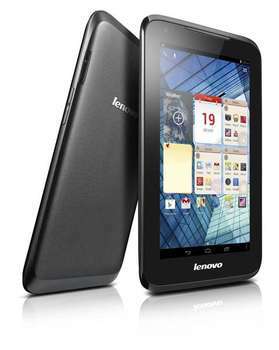 The Lenovo A1000L is a feature-packed tablet with outstanding reliability and long battery life. The extended battery life helps you stay productive and entertained, no matter where you are. The internal support frame protection of this remarkably efficient and affordable tablet keeps both your data and hardware safe. And at under 1/2" thin and just 3/4 of 1 lb., you can carry it everywhere and stay productive and connected. The Lenovo A1000L is a reliable 7” tablet that won’t let you down. It has a Dual Core processor and a sizable battery that provides plenty of power for long use during the day. The internal support frame ensures protection against drops and knocks, the front speaker plays sound in the direction you want, and the incredible price tag ensures amazing value. Plus, at less than 1 lb and under 1/2” thin, it’s the ideal travel partner. 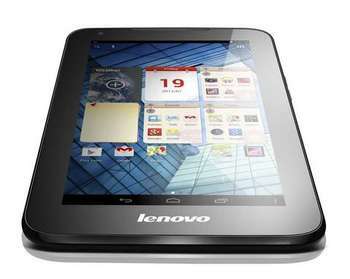 The Lenovo A1000L tablet’s HD display offers a clear and colorful viewing experience whether indoors or outside. At .45” thin and only weighing .75 lbs, the A1000L tablet is a perfect size for reading, listening to music, and web-surfing – and it can easily slide into a pocket when not in use. The Lenovo A1000L’s "ring" design emphasizes its slimness while curved surfaces make it comfortable to hold. The Lenovo A1000L tablet offers up to 7 hours of WiFi browsing on a single battery charge. Stay connected with 802.11b/g/n WiFi. Video chat with friends with the 0.3M front-mounted webcam. Micro-USB for charging and connecting peripherals plus a micro-SD card slot for convenience and easy expandability. Lenovo ThinkPad X1 Tablet 20JBS02200 12" Touchscreen LCD 2 in 1 Notebook - Intel Core i5 (7th Gen) i5-7Y57 Dual-core (2 Core) 1.